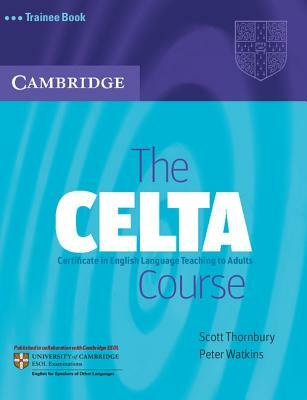 The CELTA Course is the only CELTA preparation course endorsed by Cambridge ESOL. It provides full coverage of the CELTA syllabus in a ready-to-use course. The CELTA Course is divided into user-friendly sections: * Input sessions (40 units on 'The learners and their contexts', 'Classroom teaching', 'Language awareness', and 'Professional development') * Teaching practice * Classroom observation * Written assignments and tutorials * 'Resource file' The Trainee Book includes a range of material to be used in input sessions, helpful advice about the course, and a wealth of useful reference material. The Trainer's Manual includes suggestions on how to best use the material with trainees, as well as help and advice on how to prepare trainees for teaching practice, lesson observations, written assessment and tutorials.